Graphology/हस्ताक्षर विज्ञान: To interpret the meaning of these graphs and to give predictive outcomes based on the study of Graphology is known as Handwriting Analysis. This is an art. Handwriting reflects all the influence of the surrounding environment on the writer right from birth up to the current time. Handwriting also reveals the mindset of the writer and hence can be decoded to give predictive outcomes about the writer. The first book on Handwriting Analysis was written in 1662 by Camillo Baldi, a French scientist. Even as far back as 1000 BC, Egyptians are known to hold Handwriting as sacred. In China and Japan, Handwriting Analysis has been practised from Ancient Times/Graphology. Handwriting is also known as the photograph of the subconscious mind. Every person’s handwriting is unique, just like fingerprints. This is because the strokes we make are not taught, they are adopted by the mind in a way that works uniquely for that individual. That’s why it is said that Handwriting Never Lies. Learning Graphology and Handwriting Analysis answers the need to know yourself and others. It provides valuable knowledge and safeguard against unnecessary heartaches and losses. For e.g. getting married (it need not be a gamble), giving guidance to children (you can help them to get better grades and to choose the right options for higher studies), getting into partnerships (choosing which partnership to enter becomes simpler), selecting doctors, teachers, babysitters or even hiring employees(Graphology). You can detect all sorts of paranoia, mental disturbances, constructive/destructive personality, and even criminal tendencies from a person’s Handwriting. Hand writing analysis Graphology is a science of determining the personality, character traits and destiny of a person from his or her own handwriting. Over 2000 years ago, Aristotle noticed the correlation between handwriting and personality while the Chinese independently also made the observation that there was a connection between character and writing. In 17th century, Saint Samarth Ramadas Swami from India who is a Guru of Chatrapathi Shivaji wrote in detail about how the traits of a person can be read from the handwriting and how in turn the bad handwriting affects the mindset of the person(Graphology). He also prepared sample scripts of ideal handwriting. He made many references to Graphology in his work ‘Dasabodha’. To understand the basis of Graphology, we should know about human brain which has centres connected to our feelings and fingers. For Example: ‘Amygdale’ which is located in temporal lobe of brain, controls social and sexual behaviour and other emotions. The ‘Basal Ganglia’ within the cerebellum coordinates the movements of the finger tips. So, the brain responds to the feelings like anxiety or happiness which in turn affects the movements of fingers and hence our handwriting reflects our feelings. Hence the handwriting of a person who is under heavy stress will be different from the handwriting of a peaceful person. Similarly, the handwriting of healthy person will vary from the handwriting of a person who is suffering from ill health. Any handwriting can be divided into 3 zones called upper, middle and lower zones. The upper zone is called ‘Intellectual Zone’ which represents the intelligence, spiritualism and imagination of the person. So, more letters thrusting into upper zone represents an intellectual who uses his mind more. The middle zone is called ‘Social Zone’ which represents the self-confidence of the person and his social relations. When there are more letters in middle zone we have a person for whom social relations are important. He is action oriented and does not waste his time in thinking. The lower zone is called ‘Baser Zone’ and represents the material wants and sexual desires of the person. Letters dropping more into this zone represent a person who craves for satisfying material desires. Letters with sharp bottoms in this zone indicate criminal tendencies. We can divide the slant of writing into 5 categories. If the letters are perfectly vertical, they represent a person who lives in the present. This person is disciplined with good judgment. We find judges, business and political people in this type. If the letters are slightly slanting towards right, we have a person who lives for future. He is quick to take decisions and implementing them practically. Top level executives and administrators will come into this category. If the letters are extremely slanting towards right, the person jumps into action without adequate thinking (Graphology). Hence, their actions will be often erroneous. If the slant is slightly towards left, it represents a person who is highly imaginative and an introvert. His advice will be very useful to others. Political advisors, artists and cine people will come into this category. If there is extreme slant towards left, then we have a person who lives in the past. He is a day-dreamer and cannot carry any task practically. He tries to avoid the society and keeps himself alone. Writers who leave a wide space between each line are endowed with good analytical thinking and management ability. Teachers and executives hand writing will reveal this. Writers who do not leave enough space between lines cannot take proper decisions because they could not survey the facts. They are weak-willed (Graphology). When words are set too far apart from each other, it represents loneliness and unwillingness to interact with others. When words are too close to each other, the person cannot keep distance from others(Graphology). He does not care for privacy and always close to someone. This also represents insecurity and low confidence. If anyone has negative traits such as being short tempered or procrastination or laziness it can be removed by change of handwriting. The change of handwriting is called graphotherapy. 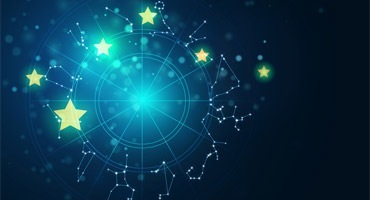 An astrologer or any kind of soothsayer will look into a person’s palm or horoscope and explain why the person has a negative quality and might suggest some Puja and talk about planets but a graphologist will tell the person to change the handwriting and the negative traits will be gone in a month’s time(Graphology). Each individual’s handwriting is unique to them and so can reveal a lot about their nature and behavioural characteristics, such as aggression and manner. Connective forms represent the way letters in a word are connected. There are 4 connective forms: Garland, Arcade, Angular and Thread. Garland connectivity represents smooth curve at base line. These people are ready to mix with others and are easy going. Arcade type represents rounded top like an umbrella. It is a sign of keeping aloof from others. He is secretive, reserved and proud. Sometimes it represents an artist also (Graphology). The Angular connectivity is identified by sharp angles at the top and base. This person is stubborn and drags others towards his goals. He is tense and sometimes violent. If the Angular type is combined with leftward slant of writing, it is a sign of antisocial tendencies. The Thread connectivity occurs when the letters appear like interlaced threads. This form indicates a person who is impatient, hesitant and insecure and who makes hasty judgments. A person who uses large letters craves for distinction from others. He thinks that others should consider him as eminent. On the other hand, a person who uses small letters never bothers about others. He is an intelligent person with good concentration(Graphology). Round letters are indicative of a soft and friendly person who does not encourage quarrels. Narrow letters represent narrow mindedness of the person. He is calculative and miserly. A wide left margin represents self respect and sensitiveness of the person. A wide right margin represents that the person wants to remain aloof and guards his privacy(Graphology). If a person leaves wide margins both at left and right sides of the writing, he is avoiding the world because it fails to meet his expectations. On the other hand if a person is not leaving any margins then he is unconcerned about his fellow men. Pooja can be considered as a sacred act of high esteem to God through acknowledgement, prayers and by performing rituals. The planetary movements decide the human life and hence when Pujas are performed it mitigates the negative influences. Pooja is a way through which we seek the blessings of God and it also helps in warding off the evil influences of the malefic planets in our natal charts. Our ancient Vedic scriptures on astrology and great sages and saints have suggested many Pujas as astrological remedies for various problems. Pujas are considered to be more auspicious than any other astrological remedies because they are said to produce more positive effects and influence a person’s life for betterment(Graphology). Pujas when performed the right way or with the aid of a qualified pundit is said to be very effective. There are lot of specific Pujas and havens for various Gods and Goddesses which is very clearly prescribed in the Vedic science and scriptures. Pujas apart from giving positive effect is said to build inner strength and credence. Pujas are considered to be the most powerful way to reduce the negative effects of the planets when compared to any other means like Gems, Rudraksha or any other materialistic way. More than a person hiring a Vedic Pundit or a purohit for performing the poojas when he himself learns the rituals and performs it by himself the results is highly favourable. But however it has to be performed the right way and the concerned person’s horoscope has to be thoroughly analyzed before performing the specific Pooja. Today performance of Pujas by the Pundits has itself become a separate field where it is much commercialized. In ancient days a pundit was taken care by the King of that place where the Majesty will provide the pundit with a piece of land and a house to live and the people of the town give them clothes and food as an offering (Dakshina) for teaching them the Shastra and for performing the various Pujas(Graphology). So it was by this way in those days the pundits used to lead their life by teaching the knowledge of the Vedic Shastra freely and performed the Pujas and remedies also freely and accepted whatever the people offered them without any demands in cash or kind. This is not the same scenario today, the lure of money through astrology remedies and Pujas is so strong and so the people and pundits have become more materialistic. Puja is both the act of worship and the altar or space for the images to be worshipped. A puja is always given a special place in a room and many different sacred items can be kept on the puja and used during worship like Idols (Statues), Incense, Meditation Oils, Chanting Books or Chalisa, Sacred Items. Every object associated with the ritual of Puja or worship is symbolically significant(Graphology). A small bench or a wooden table or a cardboard box covering an area no larger than 36″ x 24″ is adequate. The size can vary if you wish to arrange more or fewer pictures and/or statues on the surface. Remember that you should be able to see the items on the altar and have easy access to make offerings during the worship. Place the table (or box) against a wall, cover it with a clean cloth, preferably white, and secure the same by tucking it under so that it won’t slip off easily. The statue or image/picture of the deity, which is called ‘Vigraha‘ means something that is devoid of the ill effects of the planets or ‘Grahas‘, must also be arranged on the altar in a way that it leans against the wall. Prepare lamps with cotton wicks soaking in oil. Place the lamps in front of the picture. The lamp we light represents the light in us that is the soul, which we offer to the Absolute. Do not light these until you are ready to begin the Puja(Graphology). Prepare a worship platter by placing on it small vessels (cup-like, preferably metallic) of vermilion, turmeric, one packet of camphor, sandal paste, a dozen aggarbatti sticks (incense sticks), and a match box. The incense we burn collectively stands for the desires we have for various things in life. The vermilion or red powder stands for our emotions(Graphology). Prepare another plate, and put a variety of fruits (bananas, apples, oranges, etc.) and a couple of varieties of leaves and flowers. The flower that we offer to the deity stands for the good that has blossomed in us. The fruits offered symbolize our detachment, self-sacrifice and surrender. You will need an Aarati plate. This can be a small plate with a few vertical wicks soaking in oil or ghee or an Aarati receptacle with a few wicks soaking in oil or ghee. You will also need a small cup of Akshata (raw unbroken rice). Covered dishes of favourite sweets may be placed in front of the altar on the cloth covered ground. A metallic vessel large enough to contain a couple of mugs of water should be filled with water and placed in front of the altar. You will need a smaller vessel, preferably a metallic straight-walled tumbler into which water will be poured during the service. A dispenser (called uddharana or a simple metallic spoon) to dispense water from the tumbler will be needed. You will need a piece of cloth, white for a male deity and colourful cloth for a Goddess. Light the lamps and a couple of aggarbatti. Keep them safely in the vicinity such that they present no hazard. Direct the aggarbatti smoke towards the altar such that the smoke does not cause discomfort with chanting by the assembled. The principal mood should be one of joy and bhakti, but the mind should be relaxed. Make sure nothing starts until you are certain that a pleasant, sincere, reverential, relaxed environment is created to fill yourselves with joy as you begin to surrender to the Godhead through worship.